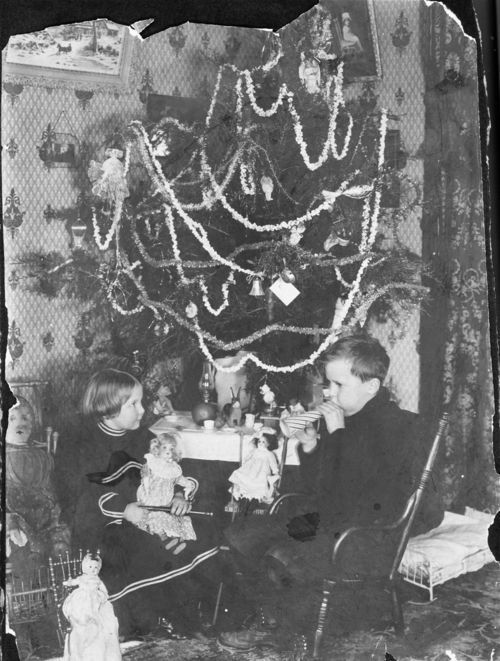 This is a view of two children seated in front of a Christmas tree with presents of dolls, doll furniture, and toys in, possibly, the Manhattan, Kansas, area. The girl is holding a doll, and the boy is sitting in a child's rocker and blowing into a horn. The Christmas tree is decorated with ornaments and strings of popcorn and glitter.